Last week, we heard that the US Immigration and Customs Enforcement agency (ICE) would be testing the new BlackBerry 10 handsets, and it looks like RIM is on a mission to win back enterprise customers that may have switched to other mobile platforms, or have planned to. 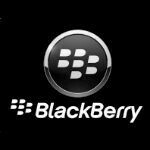 RIM how has a new seed program in the works where the company is going to give 120 companies and government agencies BlackBerry 10 handsets for beta testing. RIM says that as part of the 120 enterprise and governmental entities that are part of the plan, it has invited 64 Fortune 500 companies into its new “technical review program”. Each of the 120 enterprise and government “customers" will get access to beta versions of the BlackBerry Enterprise Service 10 and pre-release BlackBerry 10 smartphones. This program should not only help RIM to squash any bugs that are still in the new BB10 system, but also begin to win back some customers that may have previously been on the fence about retaining BlackBerries for in-house use. Great news RIM, hope they send to Comcast "Xfinity" also. There better not be ANY bugs left in BB10. Otherwise, that will just confirm the decision to bail on BB/RIM. yey yey yey!! love this!! !